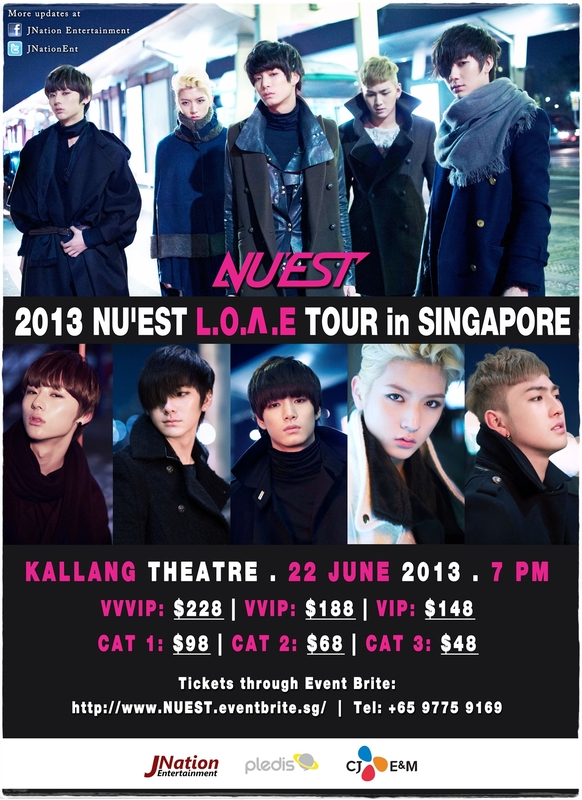 If you haven’t gotten tickets to 2013 NU’EST L.O.Λ.E TOUR IN SINGAPORE yet, what are you waiting for? You need to be a VVVIP/VVIP ticket holder to get fansign from NU’EST. Ticket can be purchase online at Ticketbrite: www.NUEST.eventbrite.sg or Call +65 9775 9169 You can also email to admin@jnationent.com, if you are unable to purchase it online.